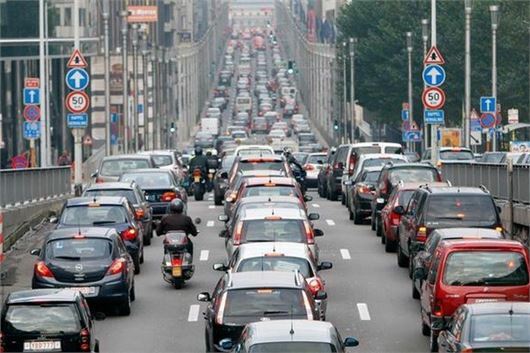 Some of Belgium's most popular cities are rolling out Low Emission Zones (LEZ) which will make it mandatory to register a vehicle before entering. Fines for drivers who don't comply will be between €150 to €350 (roughly £133 to £311). After Antwerp took the first step this year, Brussels will also introduce an environmental zone on 1 January 2018. This example is going to be followed by more cities in the coming months. The capital will ban diesel vehicles with the Euro emission standards 0 and 1. However, it's possible to obtain a special permit by purchasing a daily environmental ticket. All the information about the zone, including how to apply for the stickers is here. From January 2018, the Class 2 red Registry sticker applies to diesel vehicles with Euro emissions standards 0 and 1 (with first date of registration until 31 December 1996). In 2019, this extends to petrol emissions standards 0 to 2 (with first date of registration until 31 December 2000) and diesel vehicles with emissions standards 0 and 1. By paying an additional charge, the class 2 vehicles - which do not meet the respective Euro standards - are permitted to enter the zone with a daily environmental ticket. Although this can only be done up to eight times per year. Depending on the type of vehicle and how old it is, the environmental ticket might be purchased for a day or longer. Traffic monitoring cameras will scan vehicle registration numbers upon entering the environmental zone. A fine will be automatically sent if a vehicle is not registered to the database, or is too old to enter the clean air zone. From 2019, only Euro 3 to 6 diesel vehicles Euro 2 to 6 petrol vehicles will be allowed to enter the zone without an environmental ticket. In 2022 and 2025 there will be further restrictions. Each city individually decides which EURO standard is banned from circulation and for which period of time an environmental ticket can be purchased. As a result, the same vehicle might be allowed to enter in a LEZ, but not in another one. The type of environmental ticket (daily, weekly or monthly) also varies according to the environmental zone, especially as the restrictions are to be more stringent each year. There is no central register for foreign vehicles, so they have to be registered individually for each city. The process also takes between two and ten days. After Antwerp and Brussels, at least the two environmental zones of Willowbrook and Mechelen will be introduced in 2018. Gent has also decided to introduce a LEZ.